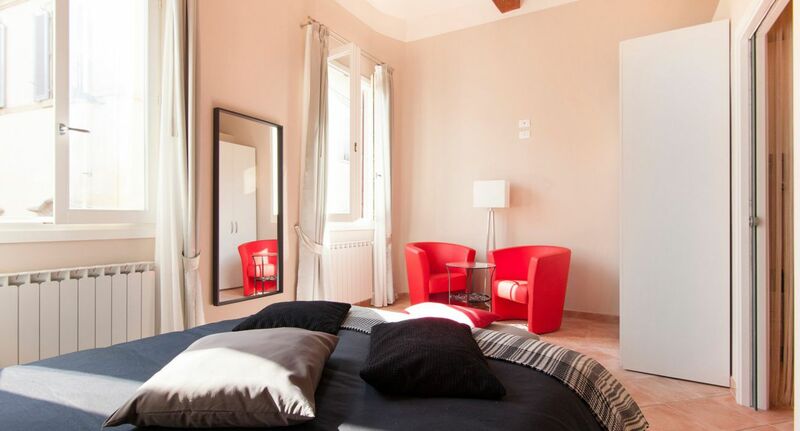 a luxurious suite with queen-size bed and a private bathroom with walk-in shower cabin. 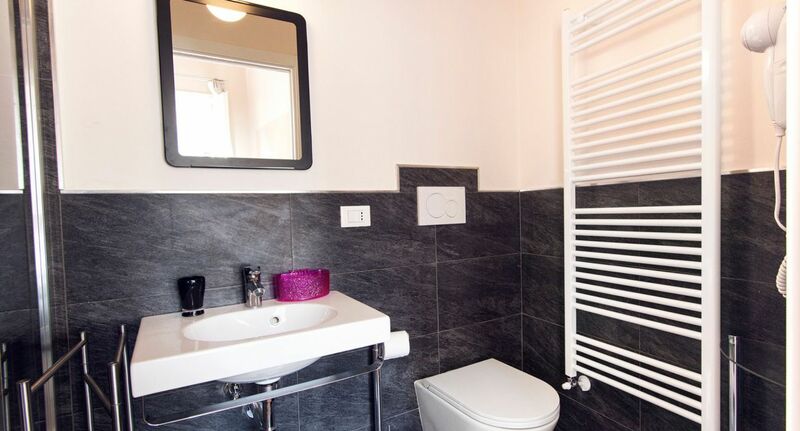 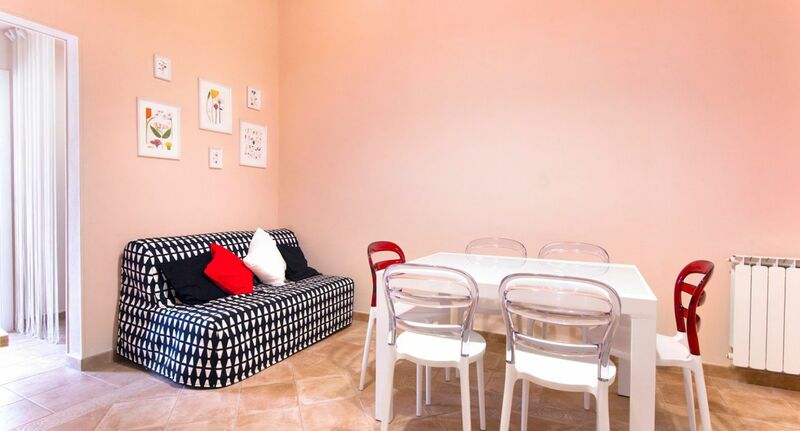 Comfortably accommodating up to 7 guests, the apartment is ideal for large families, groups of friends, 2 couples with children, etc. 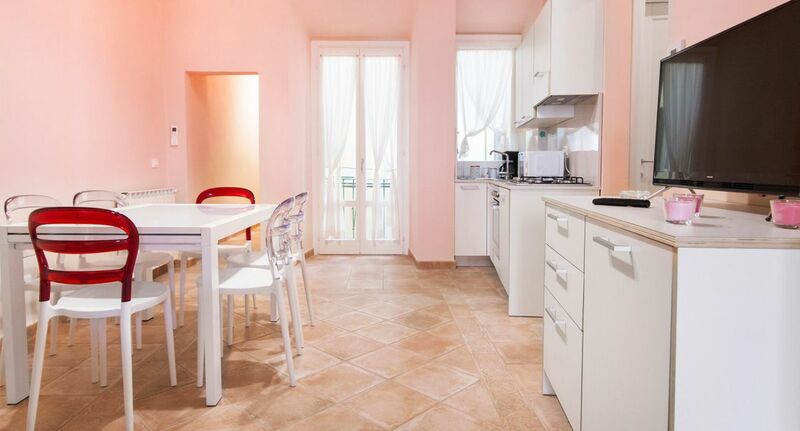 With free high-speed WiFi, TV, air conditioning in every room, plenty of closet space, all necessary amenities and a warm welcoming vibe, the Duke’s Retreat is sure to make your stay in Florence even more memorable. 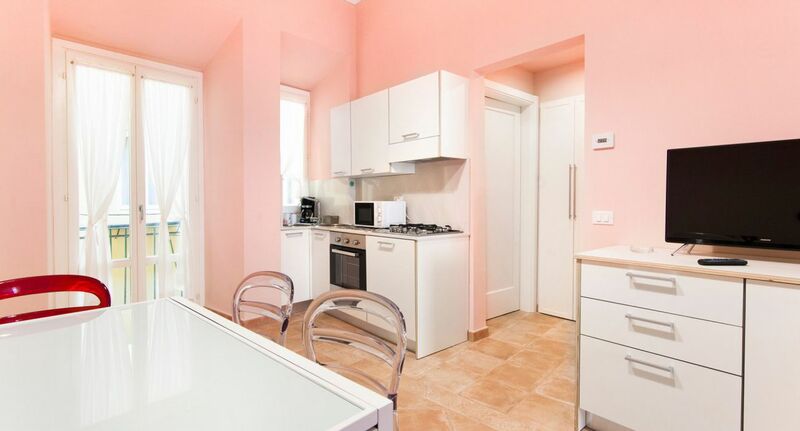 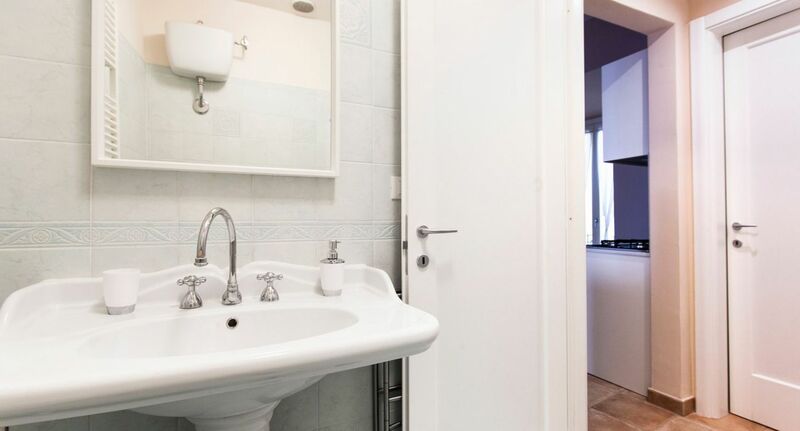 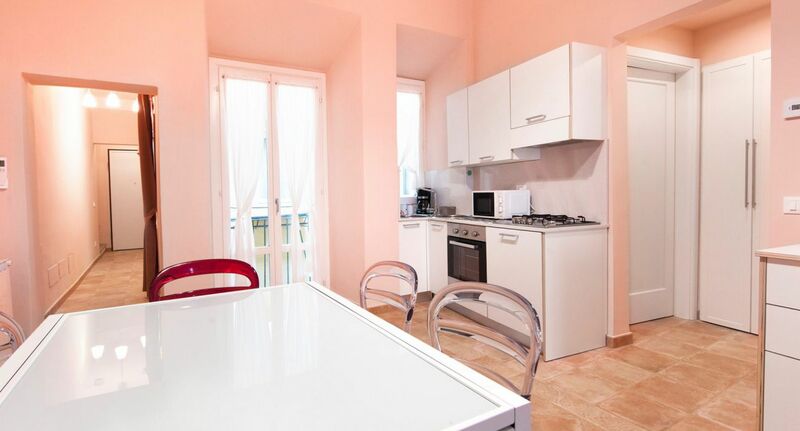 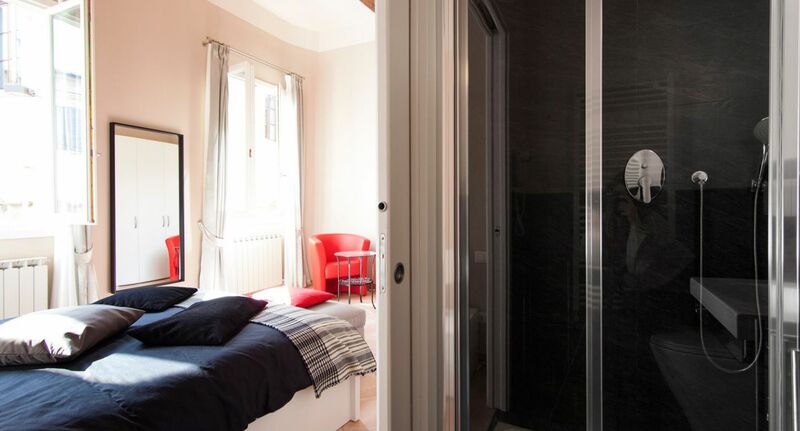 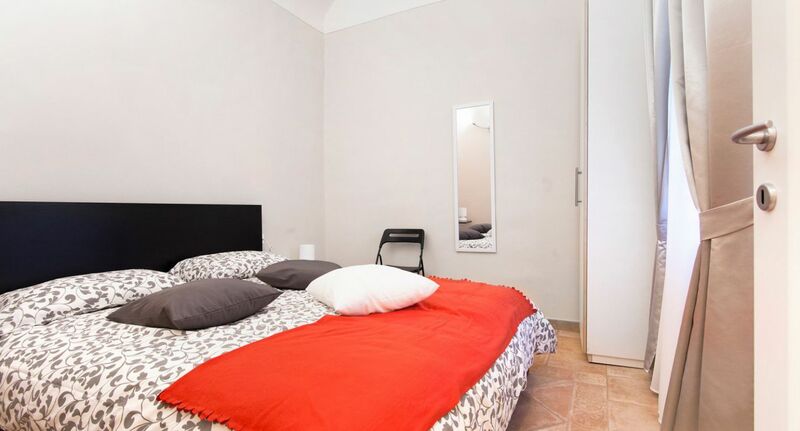 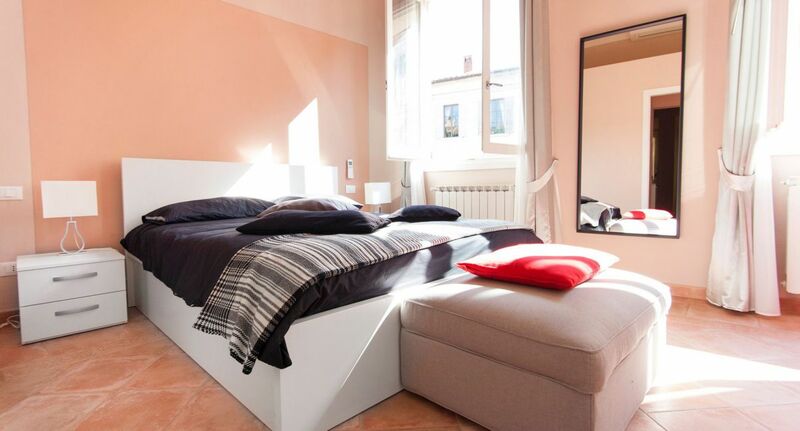 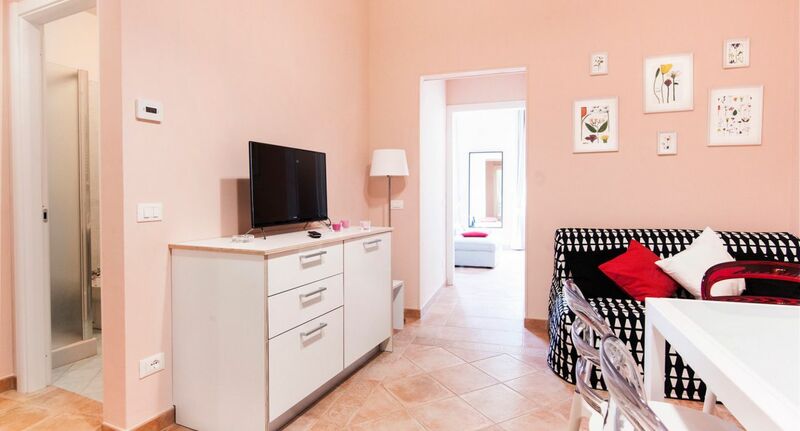 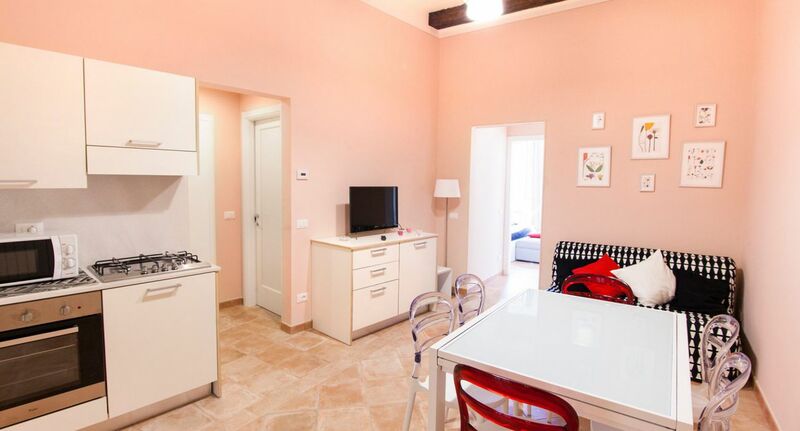 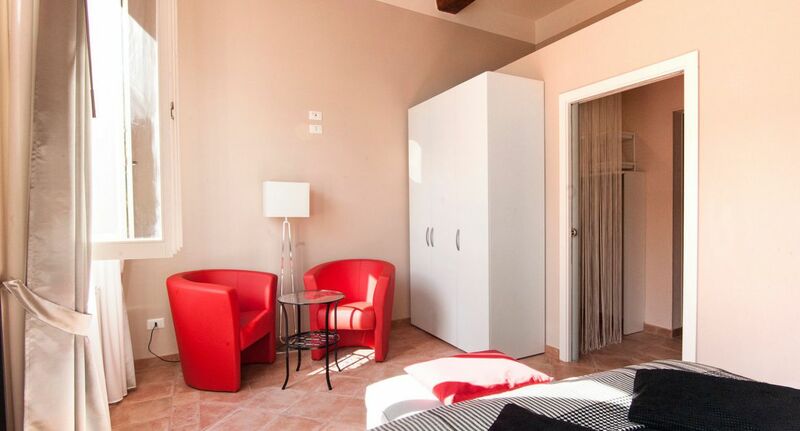 The apartment is in the colorful San Lorenzo neighborhood, in the heart of Florence’s center. 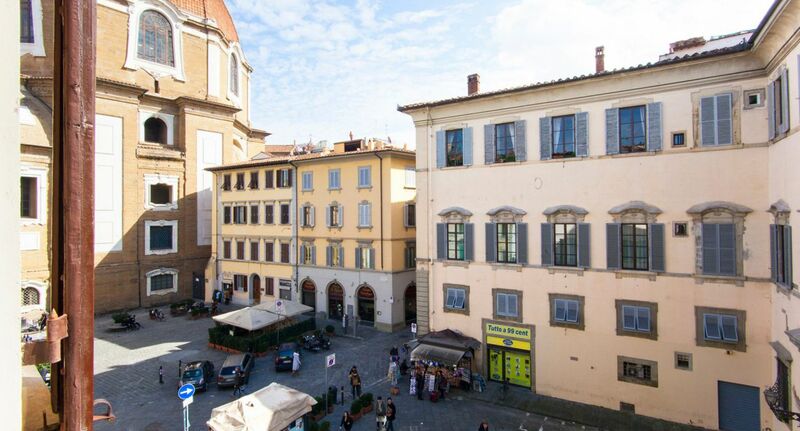 The amazing San Lorenzo basilica is just around the corner. 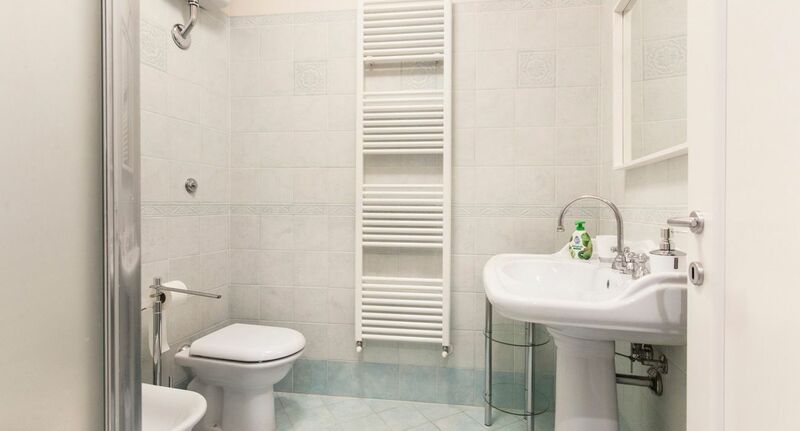 The Duomo, Santa Maria Novella and the main train station are also a stone’s throw away, and all major attractions (Santa Croce, Piazza Signoria, Uffizi, Ponte Vecchio, etc.) 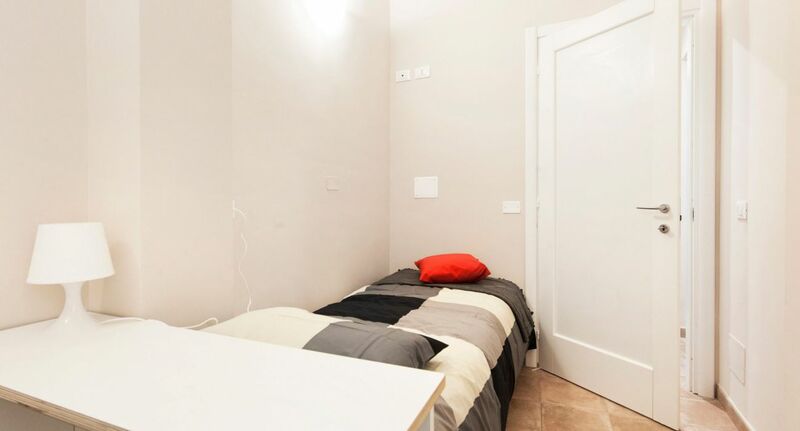 can be reached by foot in less than 10 minutes. 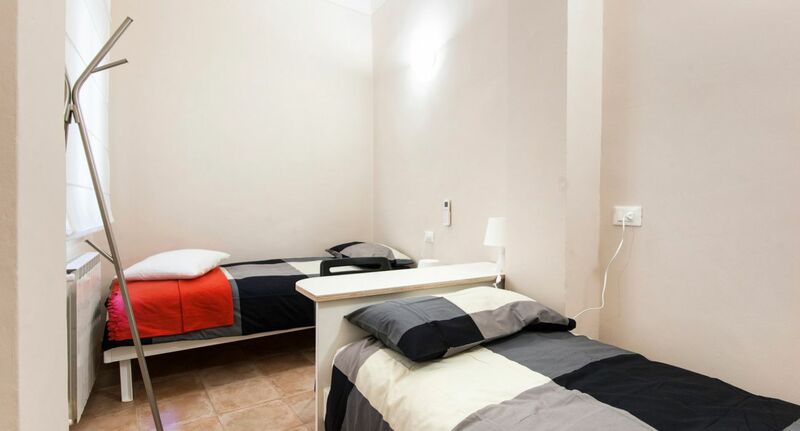 The area is also famous for its many excellent restaurants and its traditional open-air market.